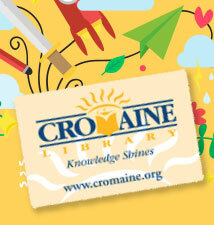 At Cromaine, we work hard to be your provider of important information and resources within the community and beyond! From topics you need to research for homework, to general questions about parenting, we've got it covered. With our info and resources function, you can search for topics and keywords based on specifically what you're looking for. For instance, searching "adult", "teen", or "youth" will bring up all the resources related to our library services and external websites for more information on various topics. If you need assistance, don't hesitate to contact our helpful staff at (810) 632-5200. Yes, photocopies are 10 cents each, for 8 1/2" x 11", 15 cents each, for 8 1/2" x 14" and 20 cents each, for 11" x 17". There is a 10% discount for 100 or more copies. Please ask the Circulation staff how to operate the photocopier if you're unsure! 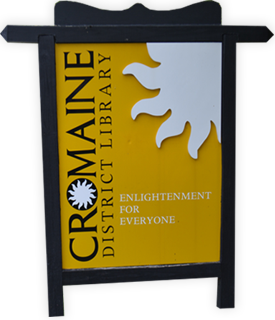 Have you met our staff at Cromaine Library? Explore our Business services page to find information and resources relevant to you and your entrepreneurial spirit!